Everyone knows that there are some prohibited items for being packed in your luggage, like firearms, chemicals, e.t.c. But how about knives? Can knives be packed in checked baggage? And which types of knives are good for taking: kitchen knives, hunting knives, swiss army knives? When reading about some problems that people encounter while traveling, I’ve heard this question being asked countless times. Not only that, but knives have a tendency to be stolen and confiscated from your luggage. And so I decided to write this guide that will teach you all that you need to know about traveling with knives. TSA states that knives can be packed in checked luggage, but are prohibited on hand luggage or carry-ons. Furthermore, any sharp objects are forbidden to be taken with you on the plane and have to be checked in. What’s interesting, is that TSA allows you to take blunt butter knives and plastic knives in your carry on. 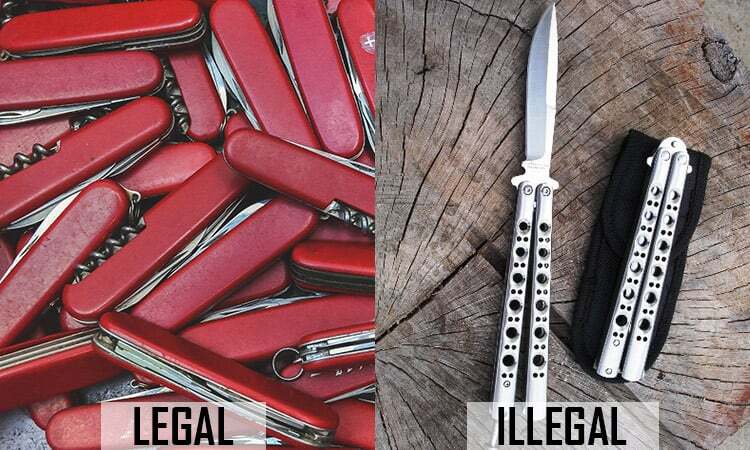 All other types are prohibited, even a swiss army knife and other pocket knives. Actually, in 2013 they allowed to take pocket knives with you on the flight, but the rule was soon canceled. Finally, TSA states that all sharp objects must be safely packed so that the TSA agents can safely check the contents of your bag. If they screen your bag and see that it’s not packaged correctly, you could get your knife confiscated. However, I would advise declaring your knife in the customs voluntarily. That’s because often the airline screening employees themselves get mixed up in the rules. What’s allowed for one, could be interpreted as prohibited for another, because the rules are so vague. Generally, all knives are allowed in checked luggage. However, some knives are illegal in some countries and states. The airline customs, TSA agents and luggage screening employees are not obligated to enforce the state laws. However, an employee may recognize that the specific type of knife is illegal in the country or state and could contact the police, which could get you arrested for carrying an illegal knife. So my advice is to always check both your destination and home country laws on specific knives before purchasing a knife or a sword. You could get in real trouble due to lack of research. Create a DIY container: Cut out two pieces of cardboard, put your knife between them and tape the two pieces together with scotch. It’s well known that there are many corrupted TSA agents who are on the lookout for easy-to-steal items that are highly priced, like knives or perfumes. Although I’ve never had anything stolen from my bag, most people who travel frequently have. And you basically can’t do anything about it, as most of the times airlines won’t take responsibility. So how do you combat the theft of your precious knives? First of all, never pack knives that you’re afraid to lose or are irreplaceable, as with anything that you pack in your checked luggage. If your knife is valued over a hundred dollars, I’d recommend purchasing separate insurance for the contents of your bag. Put it in a cardboard container and write “Not sharp and safely packaged. DO NOT TOUCH” on the sides. Although it doesn’t help much, at least the TSA agents won’t have a reason to remove the knife because it’s improperly packaged. 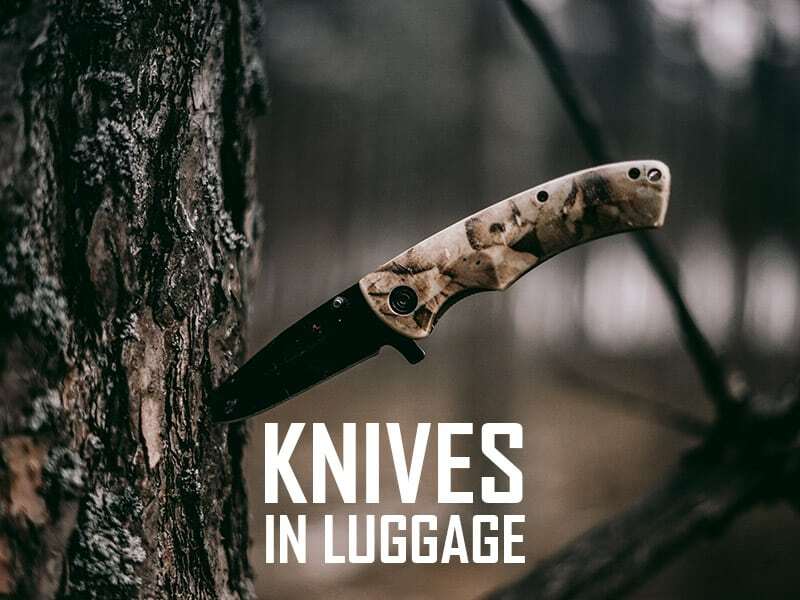 To sum up, the most important thing is never to pack your knives in your carry-on and always check your destination countries laws regarding knives before boarding. Does karambit knife considered illegal? Depends on the state or country that you are in. For instance, in the U.S., in some states, they’re legal, while in others they’re strictly forbidden. You should Google info for each place you’ll be in, including transfers. 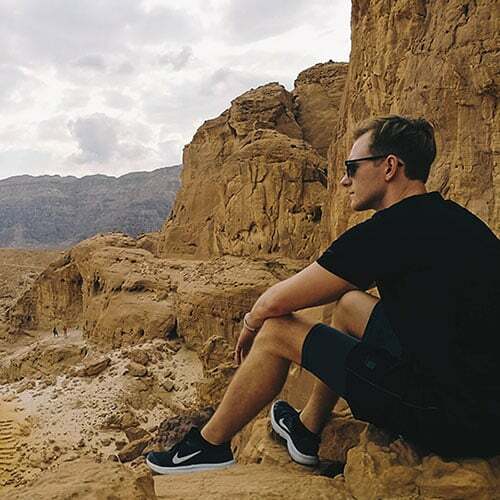 For instance, if you’ll be flying Singapore – Amsterdam (transfer) – New York, check all three jurisdictions for the legality of karambit knives. If it’s illegal in any of the places, you could get in trouble just by having it in your luggage. Hey, could i bring an old, “antique” knife? Its very old, only used as an aesthetic, decorative purposes, but its blade is a little sharp. What do you think? I’d say that yes, you could. Antique knives are often overlooked, and the airport staff isn’t so strict about them. Just make sure to safely pack it in the checked suitcase, instead of your carry-on. And if it’s valuable, make sure to get insurance for it, because knives are one of the most stolen items out of luggage, next to jewelry and perfume. Also, when checking in, it wouldn’t hurt to tell the airport staff that you’ve got an antique knife in the bag.